Boatshed London are delighted to offer this fantastic Colecraft Wide Beam for sale with Limehouse residential mooring. Built in 2013 and fitted out by the current owner to a very high spec, this 57ft x 12ft wide beam is the deep hull version which gives the boat an enormous feeling of extra space over a standard hull. 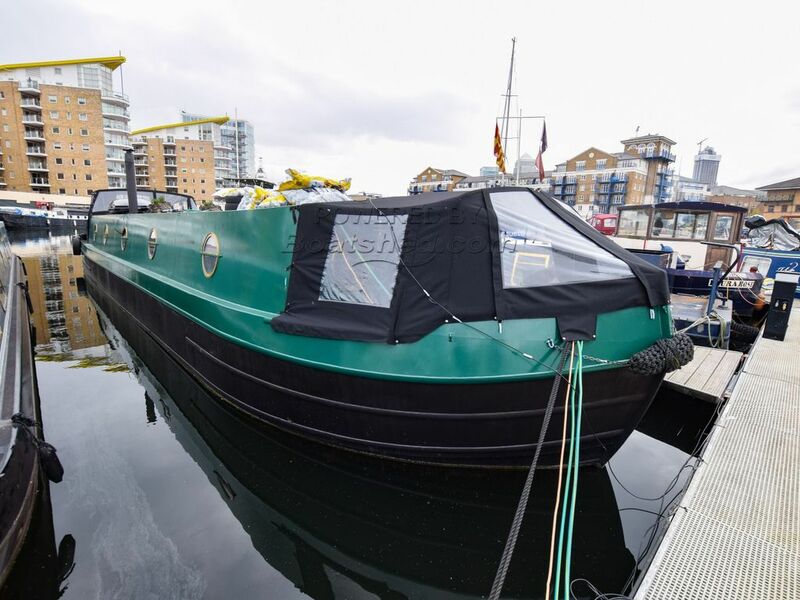 7ft headroom throughout and skylights in the roof elevate this boat to make it a fabulous floating home in one of London's most desirable marinas. Limehouse Basin is a vibrant community of boaters with excellent transport links to central London and walking distance to Canary Wharf. There is a laundry and shower block and the location on the river Thames and at the end of the Regent's Canal and River Lea makes this a great place to start an adventure from. This Wide Beam 57ft With London Mooring has been personally photographed and viewed by Angus Rose of Boatshed London. Click here for contact details.